I declared 2019 the year the Democrats go down…HARD! And it began in 2018. Actually, that’s not true. The demise of the Democrats began on November 8, 2016. Wait. Technically, that’s not true either. As the true demise of the Democrats began when they colluded to take down Trump. Regardless, that destruction is well under way. Now that the truth dismantled the Russian collusion (with Trump), the light shines on the Democrats. Even with their “fixer” Robert Mueller in place, Democrats failed to convict Trump. And despite further ruses, Democrats now find themselves in big trouble. Did I mention that I predicted 2019 would be a bad year for Democrats? Well, the demise continues. As Fox News reported, the dominoes have begun to fall. 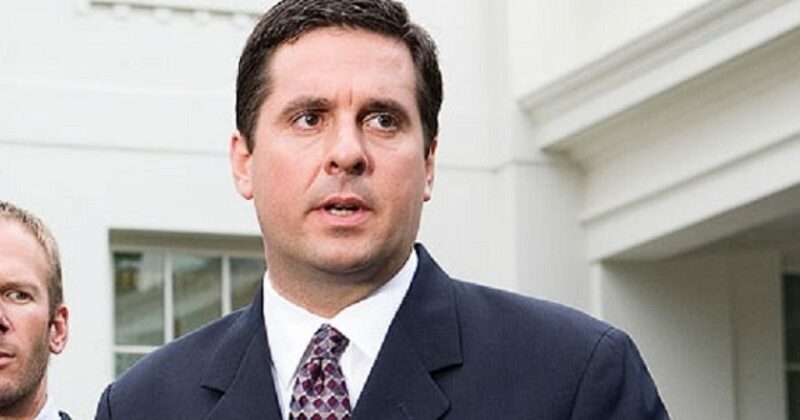 House Intelligence Committee ranking member Devin Nunes exclusively told Fox News’ “Sunday Morning Futures” that he is preparing to send eight criminal referrals to the Department of Justice this week concerning alleged misconduct from “Watergate wannabes” during the Trump-Russia investigation, including the leaks of “highly classified material” and conspiracies to lie to Congress and the Foreign Intelligence Surveillance Act (FISA) court. The dramatic step comes as Republicans have pushed for the release of key documentsto uncover the origins of the now-discredited narrative that the Trump campaign colluded improperly with the Russian government. President Trump recently told Fox News he would release the entirety of the FISA applications used to surveil one of his top aides, and other related documents. Nunes said he has been working on the referrals for more than two years, and wanted to wait until the confirmation of Attorney General Bill Barr. What 8 will be referred? I’m sure we already know some names. People like Strzok, Page, McCabe, Comey, and so on. But I could see this number doubling or tripling what Nunes offered. Imagine how many minions knew of this attempted coup? How many actually helped implement the actions? Dozens, perhaps even hundreds if the scope of the investigation comes anywhere close to Mueller’s witch hunt. As Nunes suggested, there are indeed many Democrats in the Deep State who helped implement this coup. They won’t be unknown for much longer. So sit back America. You’re at the beginning of what will be a great victory for America. Many Democrats will be exposed and rightfully so. It’s time Americans believe in government again, and 2019 provides that necessary first step.